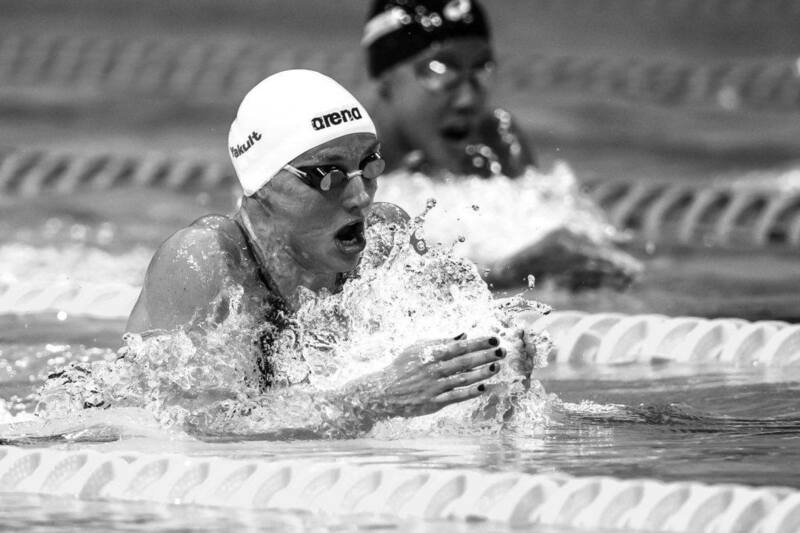 Hungarian Katinka Hosszu finished off the World Cup stop in Doha with three wins on the final night, coming out on top in the women’s 800 free, 200 back and 200 IM. After two victories on each of the first two days, she leaves Doha with seven gold medals. The 29-year-old started the session off in the 800, edging out Kazan winner Zhou Chanzhen by just over a second in 8:34.58 for the victory. Zhou (8:35.67) was dominant in winning on the first stop, where Hosszu was a distant 2nd in 8:46.48. Shortly after Hosszu was back in the water in the 200 back, easily picking up the win in 2:11.00 over Kira Toussaint (2:13.24) of the Netherlands. That was a bit slower than her winning time in Kazan (2:10.13), but she was faster in her third win, the 200 IM, as she clocked 2:11.57 to improve on her 2:12.71. Russian Yuliya Efimova was the runner-up in 2:13.60. Efimova repeated as the winner in the women’s 50 breast, going about half a second faster than the first stop in 30.43. Hosszu was a surprising entrant there as well, taking 3rd in 32.81 with Efimova’s countrymate Vitalina Simonova (32.01) in 2nd. 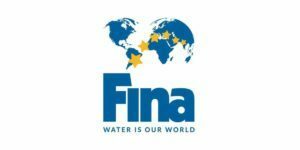 We saw a total of three World Cup Records fall on the night, as David Verraszto broke the 400 IM mark, Sarah Sjostrom took out the 100 fly record, and Andrii Govorov lowered the standard in the 50 fly. 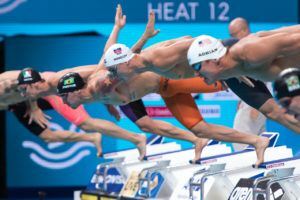 All three swimmers broke their own records. Verraszto won a tight battle with Azerbaijan’s Maksym Shemberev in 4:13.44, breaking his 4:15.89 from 2015. Shemberev (4:13.61) and Ecuador’s Tom Peribonio (4:17.02) both broke their respective National Records in placing 2nd and 3rd. Sjostrom decimated her 100 fly mark of 57.42 in a time of 56.46, winning the race by close to two seconds over Belgium’s Kimberly Buys (58.23). The Swede had set that 57.42 at the first stop. Like Sjostrom, Govorov broke his own record set in Kazan in the men’s 50 fly, posting a time of 22.82 to slide under his 22.87. American Michael Andrew repeated as the runner-up in 23.21. Mitch Larkin won his second straight title in the men’s 100 back, clocking a time of 53.68 to improve his Kazan showing by three-tenths. Andrew and Vlad Morozov were 2nd and 3rd once again, putting up times of 54.11 and 55.07 respectively. After setting the World Cup Record in Kazan in a blistering 2:07.59, Russian World Champion Anton Chupkov easily repeated as the men’s 200 breast winner in 2:08.77, with Arno Kamminga (2:11.21) of the Netherlands 2nd and Russian Kirill Prigoda (2:11.61) in 3rd. Sjostrom had a second win on the night in the women’s 100 free, clocking 53.13 to narrowly hold off Ranomi Kromowidjojo (53.29) and Femke Heemskerk (53.34) of the Netherlands. After opening up a big lead on the opening 50 in 25.32, Sjostrom lost a lot of ground to both swimmers on the back half, especially Kromowidjojo who gained nearly six-tenths with a second 50 of 27.25. After winning the 400 free on day 1 and the 100 free on day 2, Blake Pieroni of the U.S. completed the trifecta with a big win in the men’s 200 free in a time of 1:47.20. 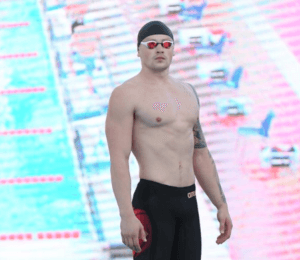 The Indiana graduate was just over a tenth better than his winning time in Kazan (1:47.32), but split it much differently, out much more conservatively here before his closing 50 (27.07) was significantly faster than it was at the first meet (28.32). Kyle Stolk of the Netherlands edged Belgian Lorenz Weiremans in the race for 2nd, 1:49.45 to 1:49.68. 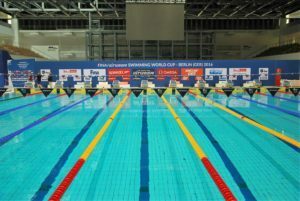 The Dutch team repeated as winners in the mixed 400 medley relay, having now won all four relays so far on the circuit. They had Toussaint (1:01.80), Kamminga (1:00.01), Mathys Goosen (53.44) and Heemskerk (53.87) combine for a time of 3:49.18, over nine seconds clear of the runners-up from China. Hosszu (1:03.85 back) and Zsuzsanna Jakabos (56.47 free) finished their busy sessions off for Hungary who placed 3rd. 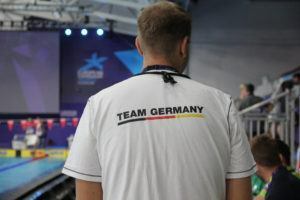 In addition to the relay, Jakabos had the same lineup as Hosszu: 800 free, 200 back, 50 breast and 200 IM. Interesting to see that very conservative start to 100 freestyle lead to a good time in the end for Kromowidjojo. I believe her best this season. I kinda doubt she can play with the best in the 100 going forward, but who knows. Times are getting better. Last year’s Katinka will be back by next summer or earlier. Better doesn’t mean good. But this level of competition hasn’t required her to be good to take what was offered by this cluster. Besides leadership of course. That is where Sjostrom said firmly ‘NO’. Let’s see how she succeeds in European and Asian clusters where we will see more swimmers in competition capable to beat times shown by Hosszu in this first cluster of World Cup. You do realize that Katinka swam almost every event? She would start the session off with an 800 or 400im or 400 free and then do it all! Probably not enough time between events to warm down…(maybe had to get awards too). You try that for 3 straight days and see what your outcome is? She is racing to get in shape. Good for her! she races everything to get in shape like superfan said. and it works for her. And that is what i suggested at first place. Let’s see how she performs at next clusters where competition should be stronger. Let’s wait with the conclusion if it works for her. I don’t think you can reach a conclusion to what you are questioning by looking at other WCs but by seeing how she does at Worlds next summer! Right she is just doing her job by making money as she trains! And this year in Hangzhou. She will be better in SCM. Is there a summary of the first cluster? Points, money, etc? Chupkov and Sjöström are the winners. According to my calculations women’s standings: 1st: Sjöström 120 2nd: Efimova & Hosszú both 90. Top 8 men and top 8 women all get some good money! I would like to see total of this plus prize money for entire cluster. SwimSwam writers are allowed to watch football like us and have a life.